Many women struggle with their body image after breast cancer treatment. Though the right bra can make a world of difference, the thought of shopping for one is daunting. Berlei’s Heather Fiddes is passionate about helping women to feel good after breast cancer surgery. Heather loves helping people smile. As a bra fitter and manager for Berlei, she gets to do this often. ‘It’s rewarding work,’ she says. Heather is Berlei’s Queensland state manager, which involves looking after the teams that work in Myer and David Jones, and she also assists with fittings. While working in fashion more than 25 years ago, she fell into bra fitting and quickly came to love with it. Helping women who had undergone surgery for breast cancer would often make her day. After her own breast cancer diagnosis in 2004 and subsequent treatment, Heather was able to call on all that she had learned from customers’ stories. Her own experience with breast cancer also gave her a broader perspective in her work. Following surgery, Heather says most women feel vulnerable when they have a bra fitting. Heather’s tips for fittings include being honest if you do not like the feel of a garment, and having a support person with you who can drive, find parking and take you out for a coffee afterwards. For those struggling to find the confidence for a professional bra fitting, Heather advises calling the store to check if it has a post-surgery fitter and visiting the store to have a chat first. ‘Ask to be shown a few garments while deciding whether to have the fitting that day, and then if you’re comfortable with the person you can go ahead,’ she says. Heather says fabrication and the comfort of both bras and soft forms have improved a great deal. She adds that unless you know exactly what you’re looking for, there is great value in visiting a trained bra fitter. ‘The fitter can point out important features that will relate to your surgery – your incisions, pressure points, even down to how to wear the bra and adjusting the straps. 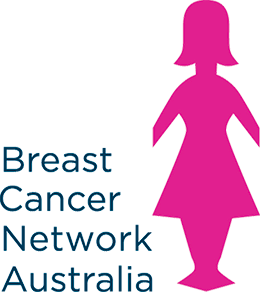 Berlei has been a partner of BCNA since 2005. In this time, the company has donated more than 130,000 My Care Kits for women who have recently had breast surgery. To find your nearest stockist of Berlei post-surgery bras, visit berlei.com.au or call 1800 269 561.